Pre-heat the oven to 375 degrees. Using a pizza cutter (or scissors) cut the tortilla shells into triangles and then spread (or spray) 1 side of each triangle with butter. Sprinkle the cinnamon sugar over that side until it is coated. 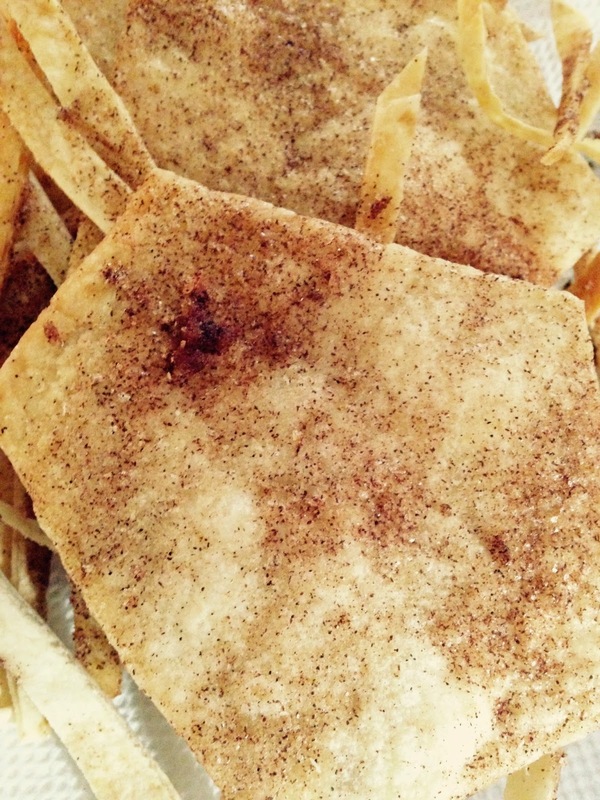 Flip the tortilla over and spread/spray that side with butter and then sprinkle the cinnamon sugar again. Arrange the triangles on a cookie sheet and bake for 10-12 minutes. Remove from the oven and place on a serving plate. Turn around and your kids will have eaten them all.